In amongst all the madness and the surrealistic aspects of what is to be in the near future, or perhaps not to be - who knows? Doctors certainly don't, and each day we go visiting my aunt she seems so much better than the day before. So that has definitely made me smile. ❥ Painting in pyjamas while it rains outside. ❥ That look of innocence after being caught in the act. The paintbrush was obviously not good enough. ❥ The colours of Autumn outside our window. ❥ Finding my son had made himself comfortable at our front door. ❥ He was talking to the plants. 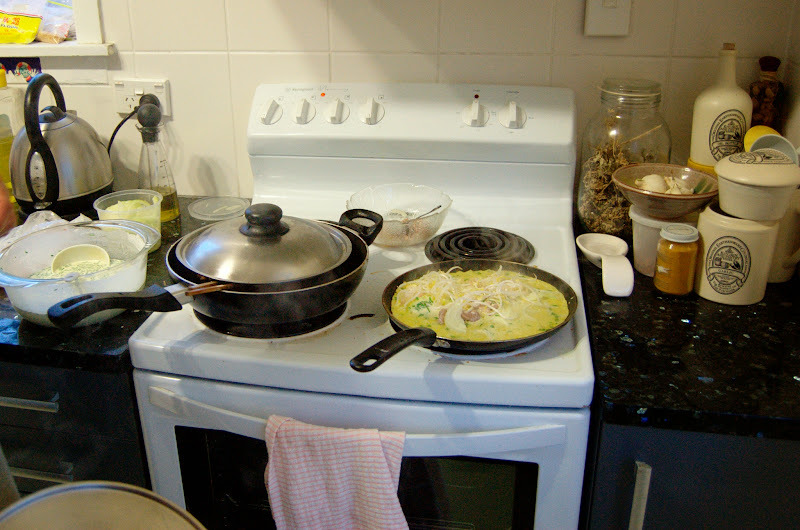 ❥ Visiting my aunt and finding my uncle in the midst of cooking one of my favourite Vietnamese dishes - Bánh xèo. ❥ A few hours of reunited cousins. 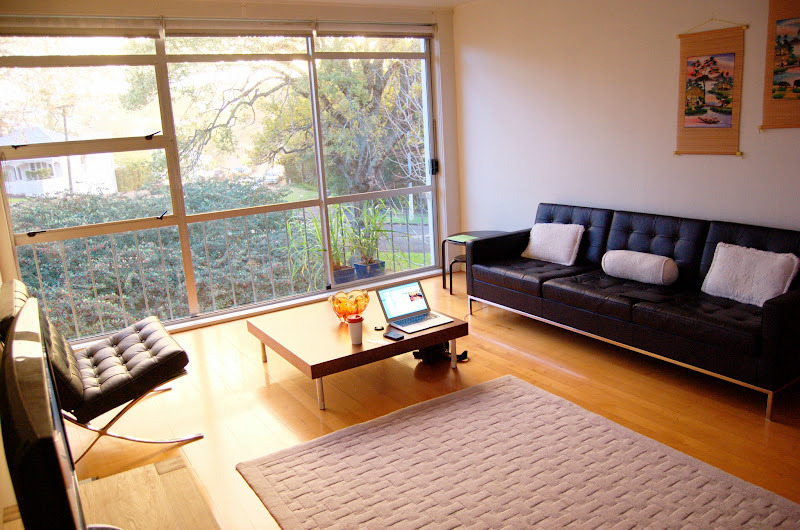 ❥ Being released early from work today, and able to enjoy some quiet time at home editing photos in peace and quiet. ❥ The beautiful afternoon glow. What has made you smile this past week or so? I hope there have been lots. 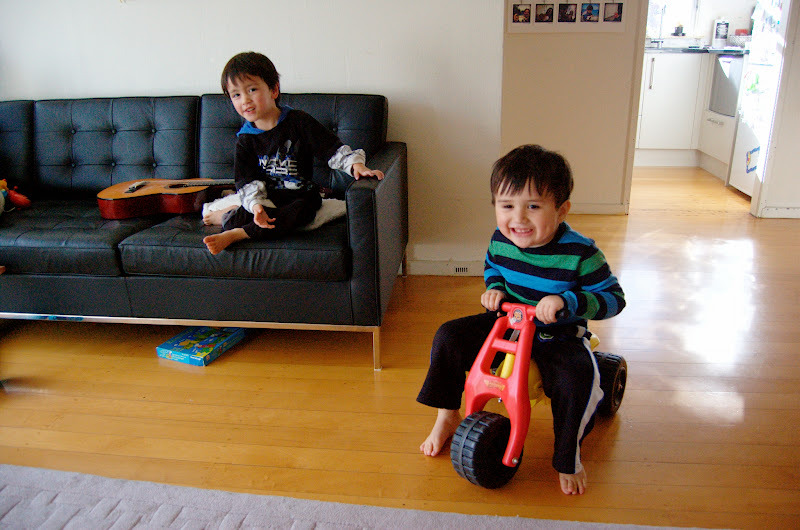 At three years old Kien already has a best friend by the name of Declan. These two boys were besties since last year, growing and establishing their friendship at daycare. But sadly about the same time as we went on holiday to Vietnam, Declan changed to a different daycare. 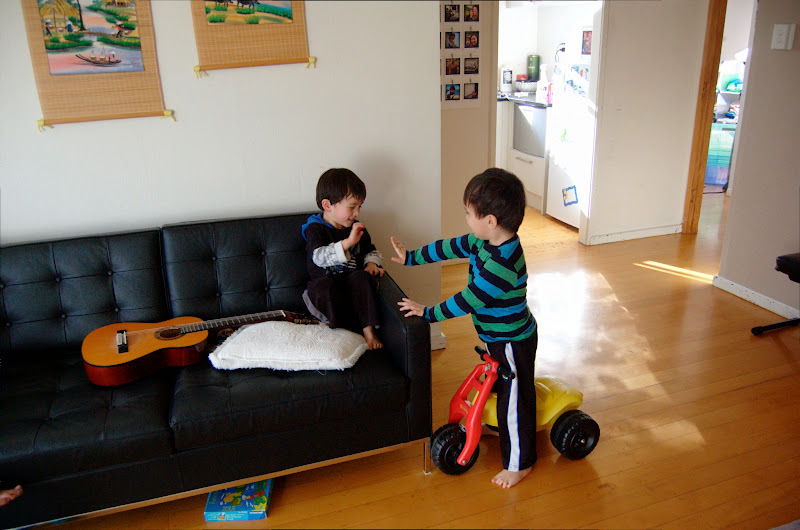 His mother sent me an e-mail while we were away, and finally in amongst our hectic lives we arranged a play-date for the boys. On Sunday afternoon, after 2 months of not seeing each other, Declan and his mum came around to ours, and the boys slipped right back into being BFFs. Kien relished in showing Declan all of his toys in his bedroom. Eventually contents of both toy boxes were emptied onto his bed. 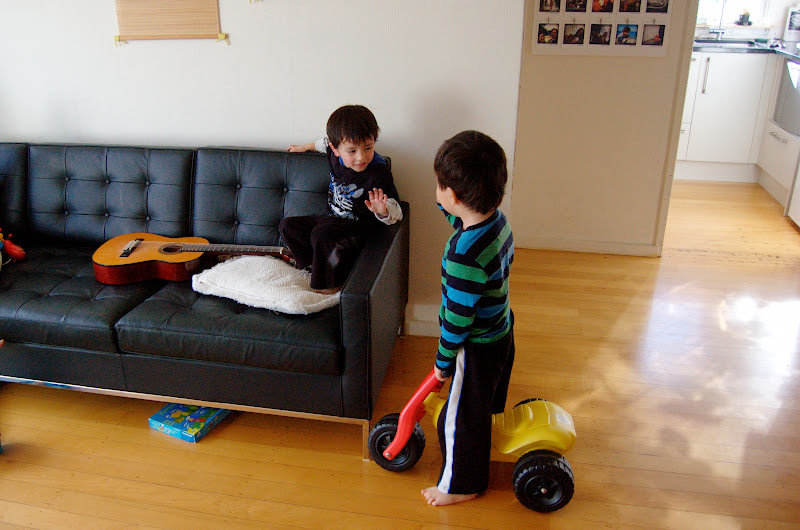 Once they were done in the bedroom they came out to the lounge where they (for the most part) took turns with the trike. High five, Boys! You lads played very nicely together. Long may your friendship continue. It's a weird situation at the moment. I've been visit my aunt practically every day and she seems so well, and yet I know she is not. She's in good spirits most of the time, and there is a constant stream of visitors at her house. 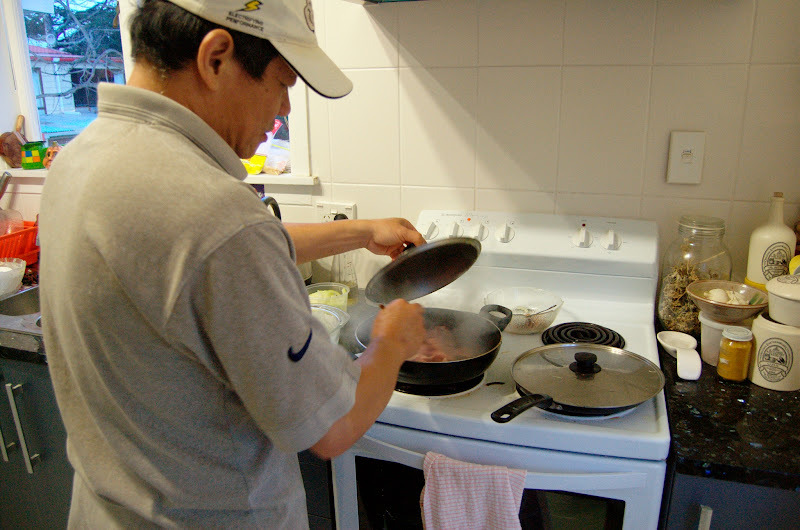 What's more, with my uncle here from the LA who loves to feed everyone, well he's been cooking up a storm in the kitchen with multiple pots on the stove at any given time. It's been a heart warming experience. I taught my uncle how to use Facetime on his iPad, and now he thinks it's the best thing since sliced bread. My aunt gets to see and talk to all the relatives over in LA who couldn't make it back. My uncle's wife also took her on a tour of their house and garden. 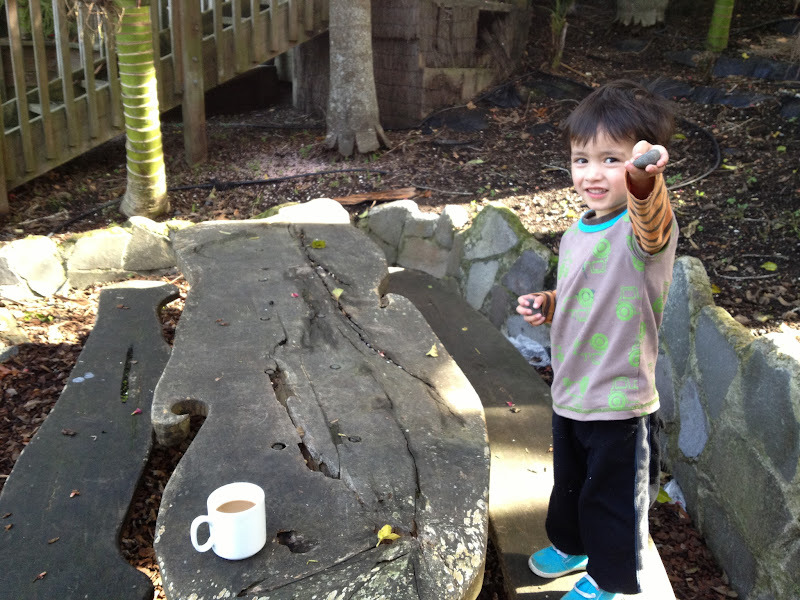 Kien takes a while to warm up every time we visit. It's just the way it is, and if we force the issue then he lets himself be known he wants to go home. Overall though I think he's pretty good. It's good when he has the younger generation around to interact with him; my sister, my aunt's son, my aunt's husband's niece and nephews. It's that time of year, and outside our place Autumn is especially beautiful because the ground is carpeted with leaves. Late Saturday afternoon we arrived home after visiting my aunt and Kien just had to burn off some energy. The light was disappearing fast, but I was able to snap a few pics of him frolicking on the lawn. It was not unexpected per se, but it was still shocking none the less. When the doctor is standing there and telling us they will not resuscitate if something happens, well that pretty much sums up where things are at. What can we do now? What can we say? A whole lot of nothing as we stood around my aunt's hospital bed and listened intently as the doctor that looked like he's only made it past puberty speak the words we did not want to hear; "perhaps", "two", "weeks", and "hopefully" were used. I wasn't sure whether they made up a complete sentence or just fragments of the conversation I could hear as I was covering my laughing child's mouth who thought everything was all of a sudden hilarious. Of course! Timing is everything and my son certainly doesn't have it. The morning was perfectly still and a little misty. It was crisp, and after Kien polished off 1 slice of toast with Vegemite and another with honey I bundled him up into the buggy and headed to playgroup. I told him if he was really good this morning and did not complain or whinge about anything that I would give him a star. He was a star that morning. Of course it is sort of funny that we've known for months and months this was to happen sooner rather than later, and yet when the news came we all looked shell shocked and dumbfounded. The doctor kept asking my aunt whether she understood, and she kept saying yes. I think at that point it really sunk in the finality of it all. When the doctor left we couldn't help but all burst into tears. Far out, man, cancer is #%€*!•<@ awful. Kien didn't cry or whinge at all yesterday morning. In fact he was in such a happy mood. 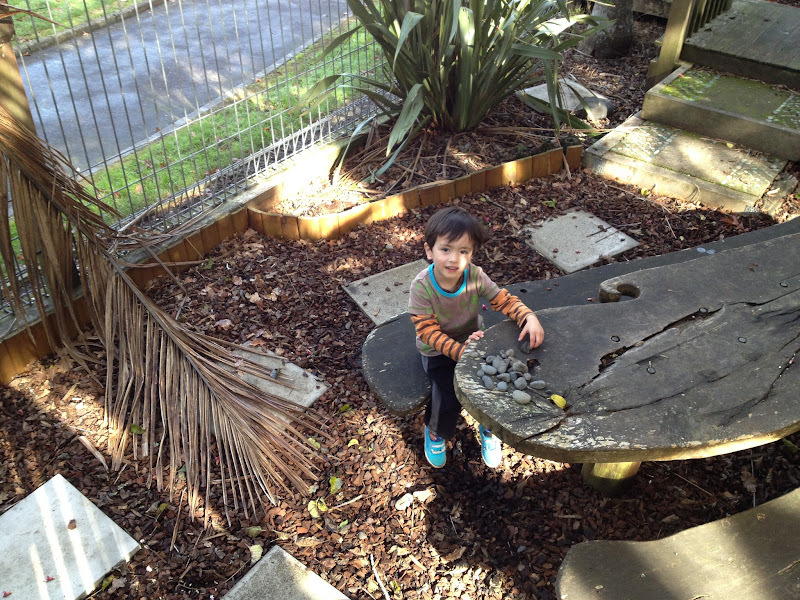 He played in the garden for ages - running back and forth collecting rocks from the other end of the garden so he could gather them all in a pile on the table. It's one of those things he likes to do. If only every day was like this. I had a really hard time shutting my brain off to go to sleep last night, and when I finally got some shut eye at around 2am I was awoken by Kien screaming for me at 3:30am. I grabbed my pillows and his milk and crashed out in his bed. I woke up in the morning and head to the office where I shuffled some e-mails around, organised some people to do some testing for one project, and did a presentation and multi system demo for my team. Life continues like it always does, and I hoped the nurses gave my aunt a good dosage of relaxants so when I visit her in the evening she will not be weeping. Life is short regardless of how long you've been here. No doubt about it, parenting is likened to a marathon and not a sprint. A good friend of mine told me that the other day. 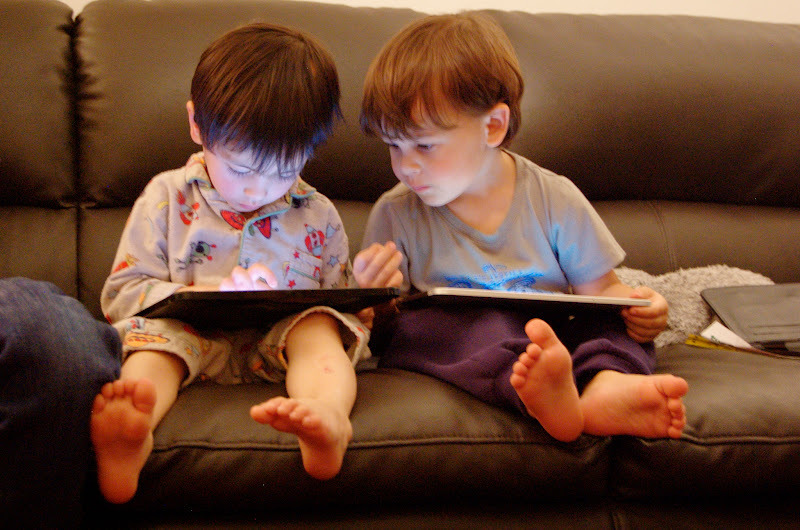 Teaching your child about the world and all the good, the bad and the ugly takes a lot of effort and a lot of time. Also a lot of patience. A lot! A LOT! So guess who decided as soon as we got to playgroup on Tuesday that he would rather sit in the buggy than run around? Then 20 minutes later he asked to go home. "Mummy, I want to go home". 10 seconds later, "Mummy, I want to go home". 5 seconds later, "Mummy, I want to go home". 1 second later, "Mummy, I want to go home, I want to go home, I want to go home, I want to go home, I want to go home, I want to go home, I want to go home, I want to go home". We went home. No delaying tactics worked, and wait - isn't playgroup supposed to be somewhere the child wants to be? We went home and we mucked around on technology for a bit and then we went shopping. I am definitely not a lover of shopping, but boy did we have fun shopping! We ran around the big red shed and browsed every isle and contemplated purchasing lots of things but in the end walked away with 2 books, 2 drawer organisers, and a pair of "Spiderman" gumboots (they just have spiders on them but he calls them Spiderman gumboots which is great because I didn't have to pay for the royalties). It was such a beautiful day weather wise - the one day this whole week when the rain went away and the sun graced us with its presence, and perfect for going to a park and running around. But I didn't want to be brow beaten by a demanding 3 year old at a big park with lots of contraptions that I really did not want to participate in and on. 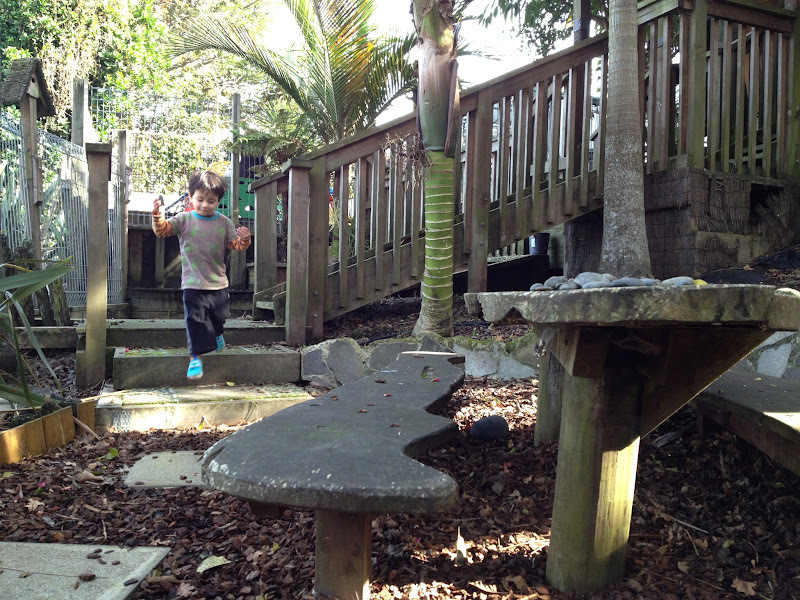 So we went to one of my favourite little spots in the city - Browns St reserve. 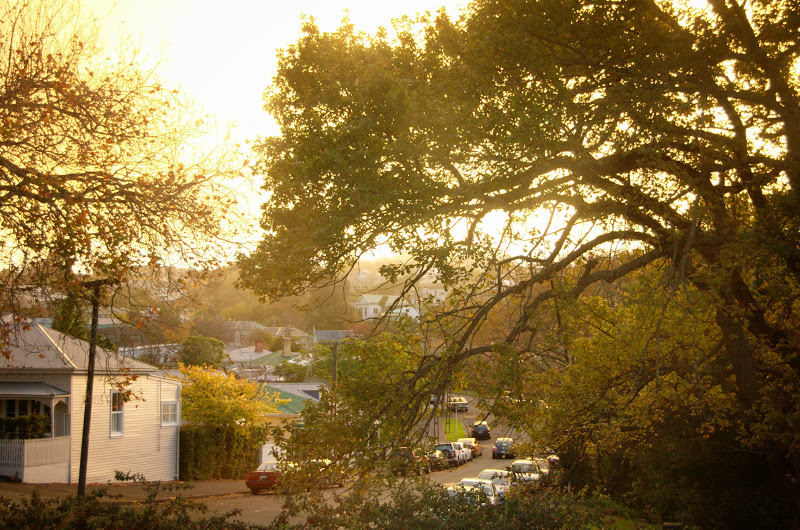 It's tucked away a few doors down from Ponsonby Rd and spans the width between Richmond Rd and Brown St. The playground consists of 2 swings - that's it. 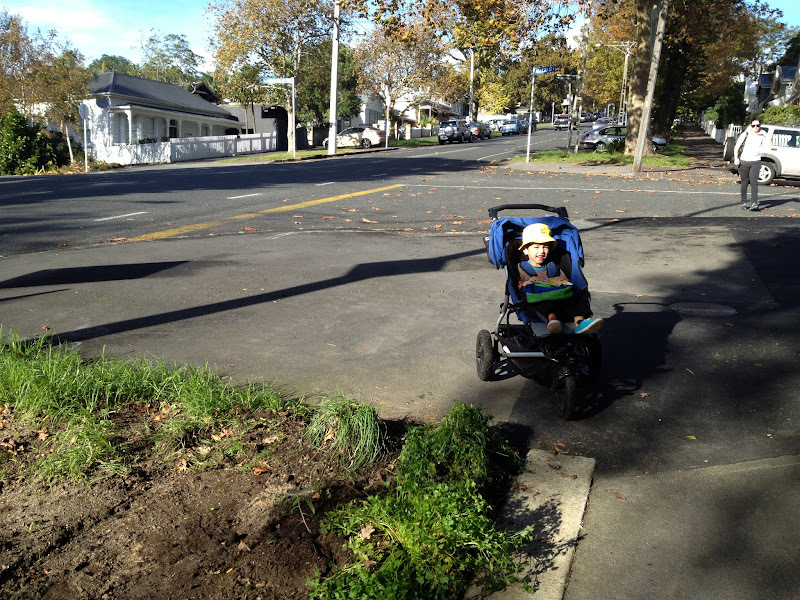 2 swings, a pathway, some benches, lush lawn, and enclosed with white picket fences, agapanthus and lavender bushes. The shrubbery is seasonal and well maintained, hence every time I'm here I feel like we are in someone's private little garden. 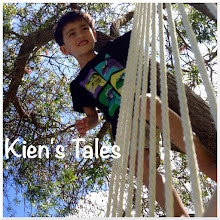 Kien had a great time on the swing, and here's a video to prove it. Here is a link to the HD version: Swings At Browns Street Reserve from Lien on Vimeo. After that we just did a lot of running back and forth from one end of the reserve to the other. He'd say, "Let's race", and I would agree, and then he'd say, "Ready, steady, go!" and take off squealing with delight. He'd always want to win, so he would give me instructions, like, "Mummy, I'm going to win. Okay?" or, "Mummy, I want to win!" Luckily for him he's playing with his mother, or rather he's my son so I'm not about to get all competitive or anything. We ran and giggled and jumped over bags and shoes while the afternoon slowly came to a close, and it was magical. He picked daisies for both his mum and his dad, mostly for his dad. I took a photo of him giving Jef the flowers he picked. "These are for my daddy. ", he said. It goes to show we can get sun amongst the rain, and when it shines it beams.